When it comes to mold removal and mold remediation, the distinctions aren’t always so clear. Although most people know that mold isn’t healthy to have around, few understand what dealing with it entails. Here are some quick facts on how to clean up mold the right way. Mold Treatment Options: What Is Mold Remediation? Mold is a general name for many different species of fungi that exist all over the world. In nature, these organisms play critical roles in the food chain by breaking down plant materials. When they enter human habitations, however, major problems can arise. From preventing respiratory ailments to simply making homes and offices more pleasant, mold abatement is critical to preserving our healthy way of life. Mold remediation involves decreasing the presence of mold to normal, acceptable levels. In addition to steps like sanitation-based home mold removal, effective remediation efforts include eliminating the conditions that allowed it to flourish in the first place. 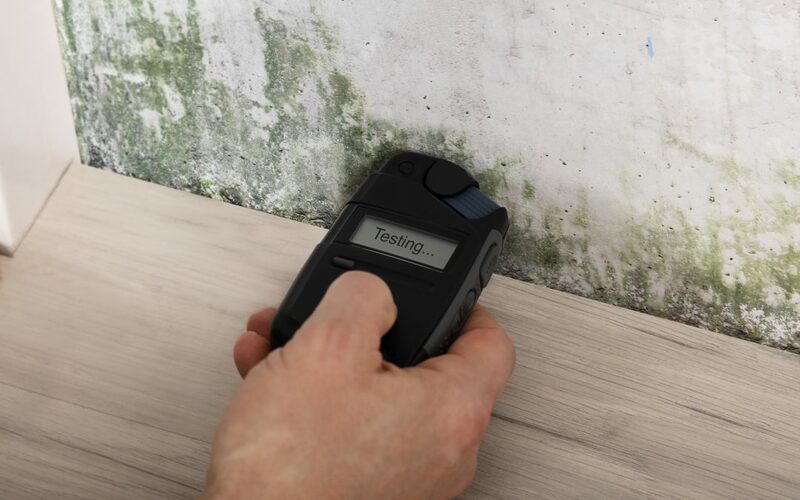 Knowing how to remove existing mold is an important part of any mold abatement strategy, but it depends on having an understanding of the fundamental mold lifecycle. When people see visible patches of mold on walls, furniture and other surfaces, they’re actually looking at thousands or millions of organisms grouped into what’s known as a colony. At a certain stage in their lifecycles, these organisms will reproduce by emitting microscopic spores that get carried to new places on air currents. If they land somewhere favorable, they’ll grow again and begin the process anew. The best mold cleanup efforts take care of the unseen. This may include everything from replacing upholstery that has suffered mold damage to full-scale house mold removal operations where specialists hunt down and remove fungi inside closets, crawlspaces, wallpaper layers and other nooks and crannies. The mold removal cost of such a service can vary widely based on the severity of the problem and how long it’s been left unattended. Merely knowing how to clean up mold isn’t enough. Good mold repair specialists also stop it from coming back with comprehensive mold treatment solutions. Fortunately, even though there are thousands of different mold varieties, they all share one common trait: They need water to survive. Eliminating moisture and getting rid of spores are vital components of lasting house mold removal. Professionals who know how to remove mold may accomplish this using tools like ventilation systems that dry out interiors following flood events. Advanced mold restoration services often include laundering that ensures clothing isn’t harboring stragglers. Although mold restoration can seem complicated, it’s worth noting that it has the potential to reduce the mold removal cost associated with significant infestations. For instance, performing a top-to-bottom home mold removal is much more affordable when it only has to be done once instead of repetitively. Since it doesn’t take long for mold damage to ruin households and offices completely, seeking competent remediation assistance is definitely worthwhile.